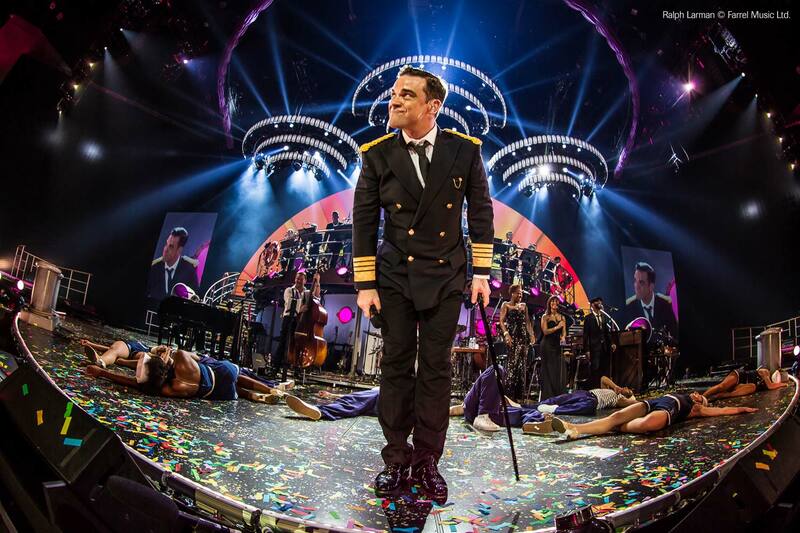 It’s all about glitz and glam in Robbie Williams’, Swings Both Ways Tour. The stage design is theatrical in every possible way. The lighting design, by Mark Cunniffe, is the perfect accompaniment to an inspired stage design and features a substantial Martin Professional rig, which is also the first major outing for lighting supplier NEG EARTH’s new stock of MAC Quantum Wash.
We spoke to Lighting Designer, Mark Cunniffe, NEG EARTH MD, Dave Ridgway and Project Manager, Caroline Beverley to hear about the lighting design process and their experiences working with MAC Quantum for this major production. Cunniffe worked closely with Set Designer, Ric Lipson from Stufish. 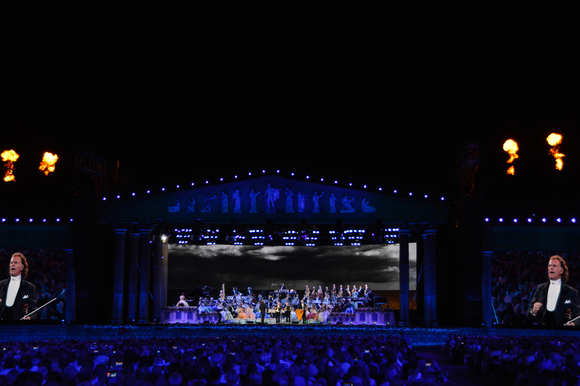 Based on Lipson’s initial stage design concept, Cunniffe designed the lighting. 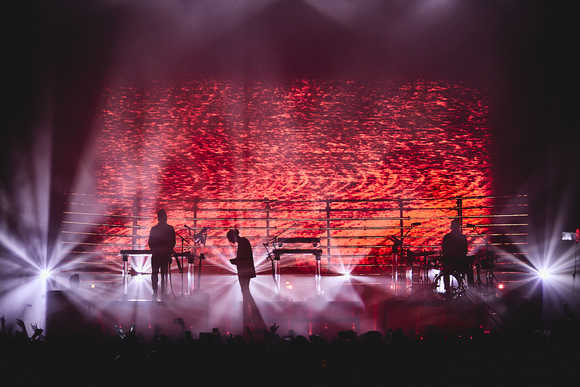 He also provided suggestions for additional stage elements, such as the chandeliers “floating” above the stage, which became a major feature of the show and have received a lot of attention. The Swings Both Ways Tour ended September 28th with a final show in Sydney. MAC Quantum Wash, 62 pcs. MAC Viper AirFX, 64 pcs. MAC Viper Profile, 30 pcs. MAC Viper Performance, 12 pcs. P3 PowerPort 1500, 3. pcs.